^ Simon Blackburn (编). atheism. The Oxford Dictionary of Philosophy 2008. Oxford: Oxford University Press. 2008 [2013-11-21]. Either the lack of belief that there exists a god, or the belief that there exists none. Sometimes thought itself to be more dogmatic than mere agnosticism, although atheists retort that everyone is an atheist about most gods, so they merely advance one step further. ^ Most dictionaries (see the OneLook query for "atheism") first list one of the more narrow definitions. ^ Atheism. Oxford Dictionaries. Oxford University Press. [2013-11-21]. ^ Nielsen 2013: "atheism, in general, the critique and denial of metaphysical beliefs in God or spiritual beings. As such, it is usually distinguished from theism, which affirms the reality of the divine and often seeks to demonstrate its existence. Atheism is also distinguished from agnosticism, which leaves open the question whether there is a god or not, professing to find the questions unanswered or unanswerable." ^ Smart, J. J. C. Zalta, Edward N., 编. Atheism and Agnosticism. The Stanford Encyclopedia of Philosophy (Spring 2013 Edition). ^ Definitions: Atheism. Department of Religious Studies, University of Alabama. [2012-12-01]. ^ 15.0 15.1 Various authors. Logical Arguments for Atheism. The Secular Web Library. Internet Infidels. [2012-10-02]. ^ Shook, John R. Skepticism about the Supernatural (PDF). [2012-10-02]. ^ Honderich, Ted（Ed.，1995）. "Humanism". The Oxford Companion to Philosophy. Oxford University Press. p 376. ISBN 978-0-19-866132-0. ^ Fales, Evan. "Naturalism and Physicalism", in Martin 2007，第122–131页. ^ Stenger 2007，第17–18页, citing Parsons, Keith M. God and the Burden of Proof: Plantinga, Swinburne, and the Analytical Defense of Theism. Amherst, New York: Prometheus Books. 1989. ISBN 978-0-87975-551-5. ^ 21.0 21.1 Zuckerman, Phil. Martin, Michael T, 编. The Cambridge Companion to Atheism. Cambridge, England: Cambridge University Press. 2007: 56 [2011-04-09]. ISBN 978-0-521-60367-6. OL 22379448M. ^ Religiosity and Atheism Index (PDF). Zurich: WIN/GIA. 2012-07-27 [2013-10-01]. （原始内容 (PDF)存档于2013-10-21）. ^ New Survey Shows the World's Most and Least Religious Places. NPR. 2015-04-13 [2015-04-29]. ^ UK among most secular nations. BBC News. 2004-02-26 [2015-01-14]. ^ Worldwide Adherents of All Religions by Six Continental Areas, Mid-2007. Encyclopædia Britannica. 2007 [2013-11-21]. ^ The reason why atheists are more intelligent. The Independent. 2017-05-18 [2017-11-07] （英国英语）. ^ The word αθεοι—in any of its forms—appears nowhere else in the Septuagint or the New Testament. Robertson, A.T. Ephesians: Chapter 2. Word Pictures in the New Testament. Broadman Press. 1960  [2007-04-12]. Old Greek word, not in LXX, only here in N.T. Atheists in the original sense of being without God and also in the sense of hostility to God from failure to worship him. See Paul's words in Ro 1:18–32. ^ Rendered as Atheistes: Golding, Arthur. The Psalmes of David and others, with J. Calvin's commentaries. 1571: Ep. Ded. 3. The Atheistes which say..there is no God. Translated from French. ^ Hanmer, Meredith. 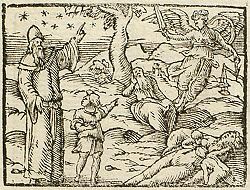 The auncient ecclesiasticall histories of the first six hundred years after Christ, written by Eusebius, Socrates, and Evagrius. London. 1577: 63. OCLC 55193813. The opinion which they conceaue of you, to be Atheists, or godlesse men. ^ Burton, Robert. The Anatomy of Melancholy. 1621: III. iv. II. i. Cosen-germans to these men are many of our great Philosophers and Deists. ^ Martin, Edward. Five Letters. His opinion concerning the difference between the Church of England and Geneva [etc.]. London. 1662: 45. To have said my office..twice a day..among Rebels, Theists, Atheists, Philologers, Wits, Masters of Reason, Puritanes [etc.]. ^ Armstrong, Karen. A History of God. London: Vintage. 1999. ISBN 0-09-927367-5. ^ 39.0 39.1 Martin, Michael. The Cambridge Companion to Atheism. Cambridge University Press. 2006. ISBN 978-0-521-84270-9. ^ "Atheism". Encyclopedia Britannica. 1911 [2007-06-07]. （原始内容存档于2012-01-30）. ^ 41.0 41.1 Martin, Michael. The Cambridge Companion to Atheism. Cambridge University Press. 2006. ISBN 978-0-521-84270-9. ^ d'Holbach, P. H. T. Good Sense. 1772 [2006-10-27]. ^ Cudworth, Ralph. The True Intellectual System of the Universe: the first part, wherein all the reason and philosophy of atheism is confuted and its impossibility demonstrated. 1678. ^ See, for instance, Atheists call for church head to retract slur. 1996-09-03 [2008-07-02]. ^ Lowder, Jeffery Jay. Atheism and Society. 1997 [2007-01-10]. ^ 48.0 48.1 Flew, Antony. "The Presumption of Atheism". The Presumption of Atheism and other Philosophical Essays on God, Freedom, and Immortality. New York: Barnes and Noble, 1976. pp 14ff. ^ Rowe, William L. "Atheism". Routledge Encyclopedia of Philosophy. Edward Craig (editor). Routledge: June 1998. ISBN 978-0-415-18706-0. 530-534. ^ Cline, Austin. Strong Atheism vs. Weak Atheism: What's the Difference?. about.com. 2006 [2006-10-21]. ^ Bishop Burnet. Discourse of the Pastoral Care. The young minister's companion: or, A collection of valuable and scarce treatises on the pastoral office.... Boston: Samuel T. Armstrong. 1813: 166 [2009-09-01]. OCLC 7381237. ^ Maritain, Jacques. On the Meaning of Contemporary Atheism. The Review of Politics. July 1949, 11 (3): 267–280. （原始内容存档于2005-11-13）. ^ Kenny, Anthony. Why I Am Not an Atheist. What I believe. Continuum. 2006. ISBN 0-8264-8971-0. The true default position is neither theism nor atheism, but agnosticism…a claim to knowledge needs to be substantiated; ignorance need only be confessed. ^ Many atheists I know would be certain of a high place in heaven. Irish Times. [2009-08-19]. ^ Baggini 2003，第30–34页. "Who seriously claims we should say 'I neither believe nor disbelieve that the Pope is a robot', or 'As to whether or not eating this piece of chocolate will turn me into an elephant I am completely agnostic'. In the absence of any good reasons to believe these outlandish claims, we rightly disbelieve them, we don't just suspend judgement." ^ Baggini 2003，第22页. "A lack of proof is no grounds for the suspension of belief. This is because when we have a lack of absolute proof we can still have overwhelming evidence or one explanation which is far superior to the alternatives." ^ 58.0 58.1 Smart, J.C.C. Atheism and Agnosticism. Stanford Encyclopedia of Philosophy. 2004-03-09 [2007-04-12]. ^ Rao, Goparaju. Positive Atheism. Vijayawada, India: Atheist Centre, Patamata, Vijayawada, India. 1972. ^ Walker, Cliff. 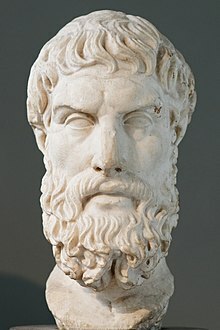 The Philosophy of Positive Atheism. [2008-11-19]. （原始内容存档于2009-01-06）. ^ Translation of Latin text from "Summa impietas"（1552）, Picta poesis, by Barthélemy Aneau. Glasgow University Emblem Website. Retrieved on 2007-03-26. ^ 63.0 63.1 63.2 Zdybicka 2005，第20页. ^ Drange, Theodore M.（1998）. "Atheism, Agnosticism, Noncognitivism". Internet Infidels, Secular Web Library. Retrieved on 2007-APR-07. ^ Ayer, A. J.（1946）. Language, Truth and Logic. Dover. pp. 115–116. In a footnote, Ayer attributes this view to "Professor H. H. Price". ^ Walpola Rahula, What the Buddha Taught. Grove Press, 1974. Pages 51–52. ^ Bakunin, Michael. God and the State. New York: Mother Earth Publishing Association. 1916 [2007-04-12]. ^ Various authors. "Logical Arguments for Atheism". Internet Infidels, The Secular Web Library. Retrieved on 2007-APR-09. ^ Drange, Theodore M.（1996）. "The Arguments From Evil and Nonbelief". Internet Infidels, Secular Web Library. Retrieved 2007-04-18. ^ V.A. Gunasekara, The Buddhist Attitude to God.. （原始内容存档于2008-01-02）. 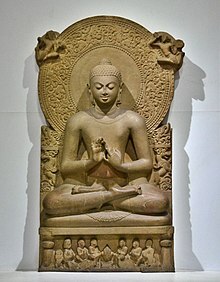 In the Bhuridatta Jataka, "The Buddha argues that the three most commonly given attributes of God, viz. omnipotence, omniscience and benevolence towards humanity cannot all be mutually compatible with the existential fact of dukkha." ^ Pascal, Blaise（1669）. Pensées, II: "The Misery of Man Without God". ^ Gleeson, David. Common Misconceptions About Atheists and Atheism. American Chronicle. 2006 [2006-10-21]. （原始内容存档于2012-12-04）. ^ Smith 1979，第275页. "Perhaps the most common criticism of atheism is the claim that it leads inevitably to moral bankruptcy." ^ Sarvepalli Radhakrishnan and Charles A. Moore. A Sourcebook in Indian Philosophy.（Princeton University Press: 1957, Twelfth Princeton Paperback printing 1989）pp. 227–249. ISBN 978-0-691-01958-1. ^ Joshi, L.R. A New Interpretation of Indian Atheism. Philosophy East and West. 1966, 16 (3/4): 189–206. doi:10.2307/1397540. ^ Baggini 2003，第73–74页. "Atheism had its origins in Ancient Greece but did not emerge as an overt and avowed belief system until late in the Enlightenment." ^ Solmsen, Friedrich（1942）. Plato's Theology. Cornell University Press. p 25. ^ "religion, study of".（2007）. In Encyclopædia Britannica. Retrieved on April 2, 2007. ^ Atheism. The Columbia Encyclopedia, Sixth Edition. Columbia University Press. 2005 [2007-04-12]. （原始内容存档于2006-11-04）. ^ Brickhouse, Thomas C.; Nicholas D. Smith. 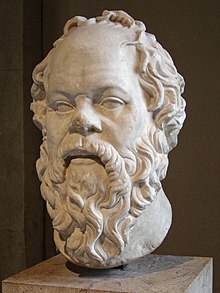 Routledge Philosophy Guidebook to Plato and the Trial of Socrates. Routledge. 2004: 112. ISBN 0415156815. 引文使用过时参数coauthors (帮助) In particular, he argues that the claim he is a complete atheist contradicts the other part of the indictment, that he introduced "new divinities". ^ Fragments of Euhemerus' work in Ennius' Latin translation have been preserved in Patristic writings（e.g. by Lactantius and Eusebius of Caesarea）, which all rely on earlier fragments in Diodorus 5,41–46 & 6.1. Testimonies, especially in the context of polemical criticism, are found e.g. in Callimachus, Hymn to Zeus 8. ^ BBC. Ethics and Religion—Atheism. bbc.co.uk. [2007-04-12]. ^ 古腾堡计划中收录的《On the Nature of Things by Lucretius》免费电子版本 Book I, "Substance is Eternal". Translated by W.E. Leonard. 1997. Retrieved on 2007-APR-12. ^ 98.0 98.1 Stein, Gordon（Ed.，1980）. "The History of Freethought and Atheism 互联网档案馆的存檔，存档日期2007-09-30.". An Anthology of Atheism and Rationalism. New York: Prometheus. Retrieved on 2007-APR-03. Atheism. 天主教百科全書. New York: Robert Appleton Company. 1913. ^ Maycock, A. L. and Ronald Knox (2003). Inquisition from Its Establishment to the Great Schism: An Introductory Study. ISBN 978-0-7661-7290-6. ^ d'Holbach, P. H. T. The system of nature. 1770 [2007-10-31]. ^ Ray, Matthew Alun. Subjectivity and Irreligion: Atheism and Agnosticism in Kant, Schopenhauer, and Nietzsche. Ashgate Publishing, Ltd. 2003 [2007-04-12]. ^ Overall, Christine. "Feminism and Atheism", in Martin 2007，第233–246页. ^ Solzhenitsyn, Aleksandr I. The Gulag Archipelago. Harper Perennial Modern Classics. 2002. ISBN 0-06-000776-1. ^ "Timothy Samuel Shah Explains 'Why God is Winning' 互联网档案馆的存檔，存档日期2010-02-12.." 2006-07-18. The Pew Forum on Religion and Public Life. Retrieved 2007-04-18. ^ Alice Gribbin. Preview: The Four Horsemen of New Atheism reunited. New Statesman. [2012-01-24]. ^ Major Religions of the World Ranked by Number of Adherents, Section on accuracy of non-Religious Demographic Data. [2008-03-28]. ^ Huxley, Andrew. Religion, law and tradition: comparative studies in religious law. Routledge. 2002: 120. ISBN 978-0-7007-1689-0. ^ Religious Views and Beliefs Vary Greatly by Country, According to the Latest Financial Times/Harris Poll. Financial Times/Harris Interactive. 2006-12-20 [2007-01-17]. （原始内容存档于2013-07-23）. ^ Characteristics of the Population. Australian Bureau of Statistics. 2006 [2011-01-23]. ^ 120.0 120.1 Social values, Science and Technology (PDF). Directorate General Research, European Union. 2005: 7–11. ^ Zuckerman, Phil. Martin, Michael T, 编. The Cambridge companion to atheism. Cambridge, England: Cambridge University Press. 2007: 51. ISBN 0-521-84270-0. ^ Zuckerman, Phil. Atheism, Secularity, and Well-Being: How the Findings of Social Science Counter Negative Stereotypes and Assumptions (PDF). Sociology Compass. 2009, 3 (6): 949–971. doi:10.1111/j.1751-9020.2009.00247.x. （原始内容 (PDF)存档于2014-12-28）. ^ Survey on physicians’ religious beliefs shows majority faithful. The University of Chicago. [2007-10-18]. The first study of physician religious beliefs has found that 76 percent of doctors believe in God and 59 percent believe in some sort of afterlife. The survey, performed by researchers at the University and published in the July issue of the Journal of General Internal Medicine, found that 90 percent of doctors in the United States attend religious services at least occasionally compared to 81 percent of all adults. ^ Dawkins (2006), p. 103. Dawkins cites Bell, Paul. "Would you believe it?" Mensa Magazine, UK Edition, Feb. 2002, pp. 12–13. ^ Argyle, Michael. Religious Behaviour. London: Routledge and Kegan Paul. 1958: 93–96. ISBN 0-415-17589-5. ^ Winston, Robert（Ed.）. Human. New York: DK Publishing, Inc. 2004: 299. ISBN 0-7566-1901-7. Nonbelief has existed for centuries. For example, Buddhism and Jainism have been called atheistic religions because they do not advocate belief in gods. ^ Humanistic Judaism. BBC. 2006-07-20 [2006-10-25]. ^ Levin, S. Jewish Atheism. New Humanist. May 1995, 110 (2): 13–15. ^ Christian Atheism. BBC. 2006-05-17 [2006-10-25]. ^ Altizer, Thomas J. J. The Gospel of Christian Atheism. London: Collins. 1967: 102–103 [2006-10-27]. （原始内容存档于2006-09-29）. ^ Lyas, Colin. On the Coherence of Christian Atheism. Philosophy: the Journal of the Royal Institute of Philosophy. January 1970, 45 (171): 1–19. ^ Smith 1979，第275页. "Among the many myths associated with religion, none is more widespread -or more disastrous in its effects -than the myth that moral values cannot be divorced from the belief in a god." ^ In Dostoevsky's The Brothers Karamazov（Book Eleven: Brother Ivan Fyodorovich, Chapter 4）there is the famous argument that If there is no God, all things are permitted. : "'But what will become of men then?' I asked him, 'without God and immortal life? All things are lawful then, they can do what they like?'" ^ Susan Neiman. Beyond Belief Session 6 (Conference). Salk Institute, La Jolla, CA: The Science Network. 2006-11-06. ^ Harris, Sam. The Myth of Secular Moral Chaos. Free Inquiry. 2006a [2006-10-29]. ^ See for example: Kahoe, R.D.（June 1977）. "(197706)16%3A2%3C179%3AIRAAAD%3E2.0.CO%3B2-X Intrinsic Religion and Authoritarianism: A Differentiated Relationship". Journal for the Scientific Study of Religion. 16 (2). pp. 179-182. Also see: Altemeyer, Bob and Bruce Hunsberger (1992). "Authoritarianism, Religious Fundamentalism, Quest, and Prejudice". International Journal for the Psychology of Religion. 2（2）. pp. 113-133. ^ Harris, Sam. An Atheist Manifesto. Truthdig. 2005 [2006-10-29]. （原始内容存档于2011-05-16）. In a world riven by ignorance, only the atheist refuses to deny the obvious: Religious faith promotes human violence to an astonishing degree. Armstrong, Karen. A History of God. London: Vintage. 1999. ISBN 0-09-927367-5. Baggini, Julian. Atheism: A Very Short Introduction. Oxford: Oxford University Press. 2003. ISBN 0-19-280424-3. Smith, George H. Atheism: The Case Against God. Buffalo, New York: Prometheus Books. 1979. ISBN 0-87975-124-X. LCCN 79002726. OL 4401616M. Zdybicka, Zofia J. Atheism (PDF). (编) Maryniarczyk, Andrzej. Universal Encyclopedia of Philosophy 1. Polish Thomas Aquinas Association. 2005 [2011-04-09]. Edwards, Paul. Atheism. (编) Donald M. Borchert. The Encyclopedia of Philosophy Vol. 1 2nd. MacMillan Reference USA (Gale): 359. 2005 . ISBN 978-0-02-865780-6. Nielsen, Kai. Atheism. Encyclopædia Britannica. 2013 [2013-11-25].